On May 15th this year, the St. James’ Heritage & Environment Group hosted their annual AGM at St. James’ Church. 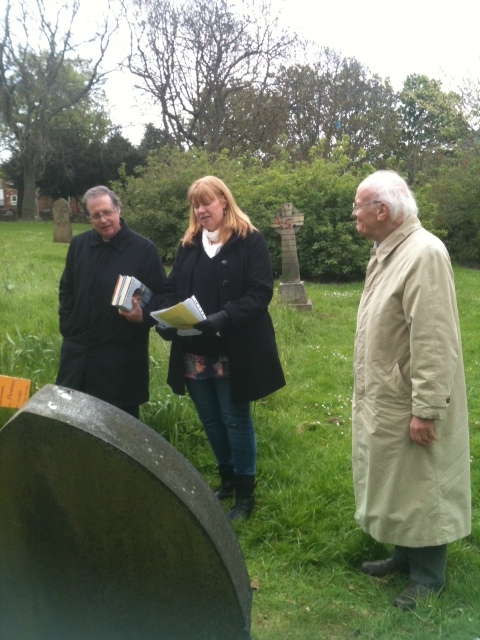 Following a busy meeting, members of the group had the chance to tour the graveyard, led by volunteers who played various characters associated with the church’s history or buried in the graveyard. 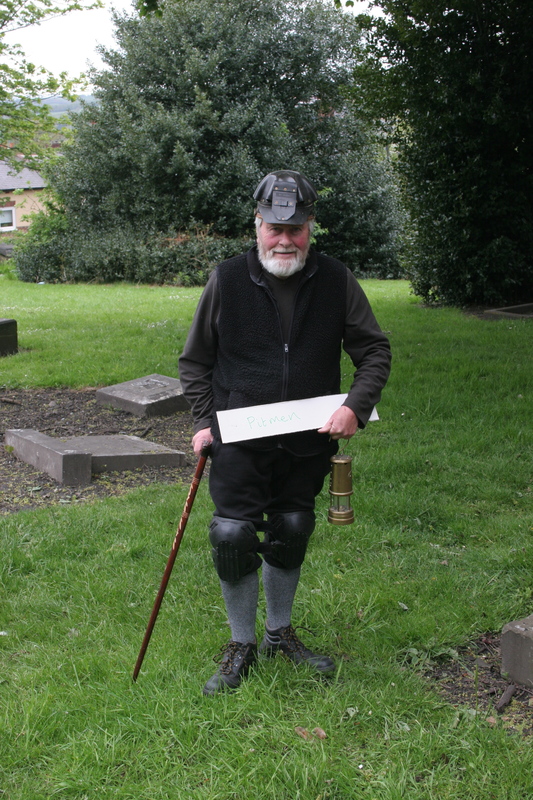 The picture above shows a member of grave yard volunteer group, Ted Clark, dressed as a miner. The graveyard has several miners’ graves as there were pits dotted all over the West End in Elswick, Benwell and Scotswood. Charlotte Pit, the nearest to St. James’ was situated almost directly across the road from the church, just behind where the Lidl supermarket is now. 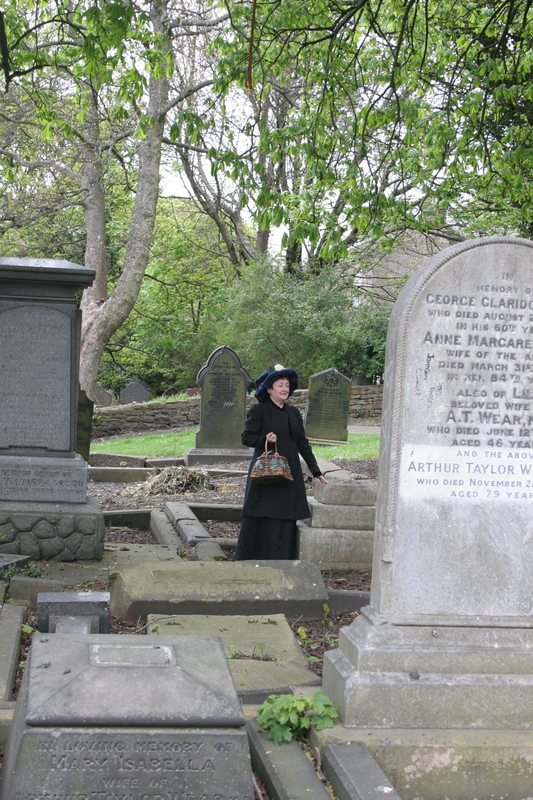 In the photo above, Ruth is explaining the story behind one of our more cryptic stones, which reads ‘Jane, killed by a car, 1906’. Ruth managed to discover a bit more about this stone by tracking down the original newspaper report and inquest records at the local studies library in Newcastle City Library. She found out that Jane was originally from the Shetland Islands and had been knocked down as she was crossing the road by a car which was travelling at 6miles per hour. Volunteer and local author Yvonne Young is representing the Sowerby family who owned the Sowerby glassworks in Gateshead. A huge thank you to all our volunteers who gave up their time to help bring the church’s history to life.